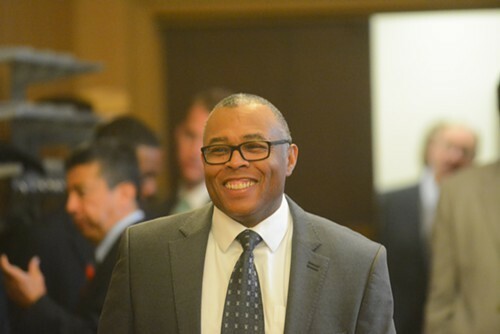 Alderman Howard Brookins Jr. argues—and hopes—that his support for the policies of Mayor Rahm Emanuel won't haunt him at election time. It's increasingly clear that in the upcoming municipal elections, everyone will be running against Mayor Emanuel in one way or another. Some, of course, will be challenging the mayor directly. On Friday Alderman Robert Fioretti sent an e-mail to supporters that was so cryptic it was quite clear. "We will have some big news on September 13th and I hope you can join us," Fioretti wrote. 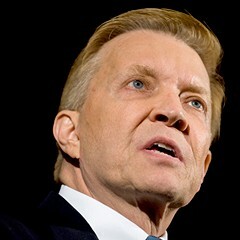 If he follows through, Fioretti would be the first sitting elected official to announce a challenge to Mayor Emanuel. 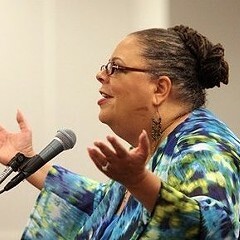 Meanwhile, Chicago Teachers Union president Karen Lewis has put $40,000 of her own money into her campaign fund. While that's not self-love on the level of Bruce Rauner, it's yet another sign that she's also preparing to take on the mayor. But given Emanuel's unpopularity—he's got roughly the same approval ratings as The Expendables 3—his performance is also likely to be an issue for sitting aldermen, who are preparing to explain how they've spent the last three years in the mayor's company. This is especially the case in black and Hispanic areas that have borne the brunt of the mayor's closings and cuts. And if Lewis, Fioretti, or other mayoral candidates inspire pissed-off people to get to the polls—which hasn't happened in big numbers since the 1980s—lots of aldermen could be in trouble. "His political game has not endeared him to the community," Howard Brookins Jr., the 21st Ward alderman and chairman of the black caucus, says of Emanuel. Brookins was being polite. Only about one in four black voters approved of the mayor's performance in a recent Tribune poll. Like most of his colleagues, Brookins has voted with the mayor the vast majority of the time. 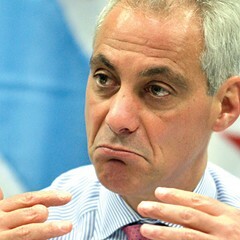 He argues that Emanuel's fundamental flaw isn't anything he's actually done. "The explanation as to why and how it was done could have been better," Brookins says. "Then it's been a tough economic time, and no one wants to hear you blame everything on Rich Daley, but some decisions did need to be made." This is a mantra you're going to hear from the mayor and his allies for the next five months: Emanuel needs to work on his communication skills but has made some tough decisions. The question is how many people will buy it. Plus, the mayor is also expected to spend campaign money helping out selected aldermen and challengers. Brookins concedes that he and other members of the black caucus could be caught between the mayor and angry voters. But he also insists that his relationship with Emanuel has benefited his south-side ward, from additional street repairs to the removal of one school, Mahalia Jackson, from the closings list. "When I have an issue with the mayor, I tell him and he changes things—so how can I go ahead and vote against him?" Brookins says. "When we're knocking on people's doors, the issues aren't going to be, 'You voted with Rahm 90 percent of the time.' They're going to be, 'We need new sidewalks and streets.'" It must be said that Brookins has his own unique ward-level problem to explain: his chief of staff was indicted on bribery charges in February. And his justifications for his voting record are wishful thinking, according to veteran political consultant Delmarie Cobb. "You can align yourself with the mayor or you can align yourself with your constituents," she says. "People are not so stupid as to think that just because you put new asphalt on my street, my quality of life has changed. People see so many of these aldermen as rubber stamps and they're tired of it." Yet in previous years most of the rubber stamps managed to win anyway. In other cases, successful insurgents quickly become mayoral loyalists themselves. 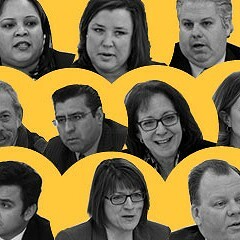 In 2007, for example, nine rookie aldermen were elected, many with the help of SEIU and other unions. Only four are still in the council and dare to defy the mayor on more than 10 percent of major votes: Fioretti, Toni Foulkes (15th), Scott Waguespack (32nd), and Brendan Reilly (42nd). Pat Dowell (Third), Joann Thompson (16th), and Willie Cochran (20th) are all reliable mayoral supporters, while Sandi Jackson (Seventh) resigned amid legal trouble and Sharon Dixon (24th) was voted out in 2011. Excitement around Lewis or Fioretti could change the equation. When Harold Washington was elected mayor in 1983, a number of challengers "came in on his coattails" and displaced City Council veterans, Cobb notes. 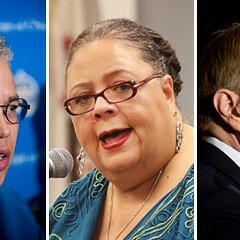 "I don't know what happens if Karen Lewis jumps into the race," says Rey Colon, chairman of the Hispanic caucus. "Do people go with her, or do they decide the mayor's not that bad? The way people complain about Rahm, they complained about Daley, and then they gave him 70 percent of the vote. "I don't know what it is about Chicago and how we vote for our mayors. It's like my dad—he only shops at Sears." Colon admits that he'll have to work to hold onto his 35th Ward seat. After the latest remap, the ward only includes a chunk of Logan Square, his childhood home and political base, and now he has to court supporters in new areas to the north and northwest. He was also recently arrested on a DUI charge. But he says he'll run on his record as alderman, which includes occasionally saying no in the council. Most notably, he voted against the parking meter deal—both Daley's original version and Emanuel's slightly revised version. "I'll stand with them if there's something like a press conference on guns that I believe in, but I reserve the right to do my own thing," he says. "Maybe that's why I don't have a committee." He was joking, but not really: only loyalists get to chair committees, where they're expected to shepherd through mayoral proposals. Colon recalls that in 2003 he was one of those elected to the City Council as a fresh voice. "I think most of us are expecting an opponent this year," he says. "It's a good time to run." Closing mental health clinics was the mayor's idea—but that doesn't stop his supporters from blaming an independent alderman. It's rare for a Chicago mayor to come from the City Council. But with Rahm's ratings in the tank, it might be possible.